These are absolutely beautiful!!! You did a marvelous job - they look straight from the dim sum cart. I'm so coming over to your house for Sunday yumcha . . . I've been wanting this book badly; however, I've promised to buy it only as a reward for doing well in class (not being naturally studious, I need this kind of motivation). But after seeing these delicious dumplings - and a few other posts - I don't know how I can resist! What a great job Lisa! I have heard about this book before and it's already on my amazon wishlist! I've made dumplings once for the daring bakers and while the end result was very good, I still think the extra amount of work in making your own wrappers is just a bit too much for me. So I'll go with the storebought variety, but still yours look gorgeous! I am so gonna buy this book too! They look so perfect and scrumptious! Beautiful work, very precise post, thank you! I HAVE to prepare some, soon! Awesome looking dumplings! 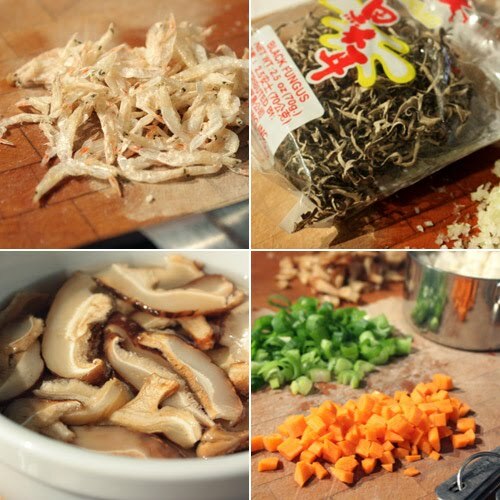 I'd love to learn how to make my own dumpling wrappers. That's so cool. Not you've got me craving for some dimsum. They look great. That must be a lot of work. Wonderful job on the dumplings, they do look very professional! I have been dying to get that book. I can't believe how amazing these are and a first time effort. bravo. Yum! I always order some sort of crystal dumpling when I go to dim sum. You did a beautiful job, they look professionally made! This is a great post! Full of detail and you had such excellent results! These are so delicious and yours look absolutely scrumptious!! Wow, this is so authentic. You are amazing!!!! I have to check out the book you got. Hope i can find the flour in Basel. It's my last day in Hong Kong. 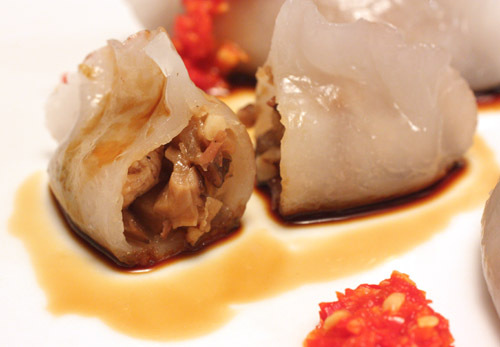 I can still order this in Dim sum resto here, you make me crave for that. Lisa, well done! They look just like the one I had in the restaurants. You did a great job with those. they look fab. I'd love to try making those but to be honest, I'm a little intimidated, they look kinda difficult. 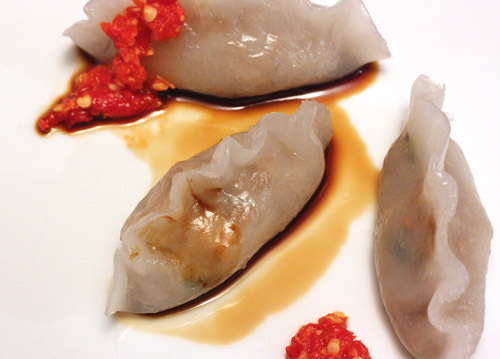 dumplings appear to be an arduous task, and your first run at them is quite impressive! lovely picture steps and descriptions, lisa. job well done. I love dumplings- but have never made them. I am so very impressed with your success- they are delicous looking. I just might have to get that book....but in the meantime, am going to attempt to make your recipe. Great directions! I have this cookbook as well and have not had the found the time to make any of the incredible dumplings that lie there in. It sits on my shelf taunting me (very nicely of course) Your pictures are an inspiration and if I do not find time soon, I'm going to make it. Andrea on her website has a place for people to post pictures of the dumplings they've made from her book - you should definitely put up these works of art. These look incredible!! I'm so impressed you made your own dough. How delicious! I've made dumplings more times than I can count, but never my own dough. Yours look great, and I will try making the dough too next time I make dumplings. Lisa, the dumpling dough looks professionally done. If you hadn't talked about making it yourself, I would have thought it's store-bought. You've done an amazing job with this! I like your choice filling too. These are so pretty! How brave you are making everything from scratch. I bought wrapper at the store today and I'm having a hard time deciding what to stuff them with. I take my hat off to you because I have never made my own wrappers. You have inspired me to give it a whirl, though. Your dumplings look better than the ones at my fave dim sum restaurant! Oh, this looks so delicious, they are beautiful! I have eaten them, made by a friend, but I've never attempted them myself...thanks for this recipe, I might just try it! I love dumplings and making them from scratch is something I will always associate with family time with my mom. It's interesting that these are meant to be steamed first, then stored, because we always make a ton and freeze the un-cooked ones in the freezer. I'm now so curious about this book and have to see it! These are so magnificent, WOW. Oh! Thses dumplings look better than the ones that we get at dim sum...never made them at home...now you inspired me :-) By the way, great pictures! kudos for making the dumpling skin from scratch. 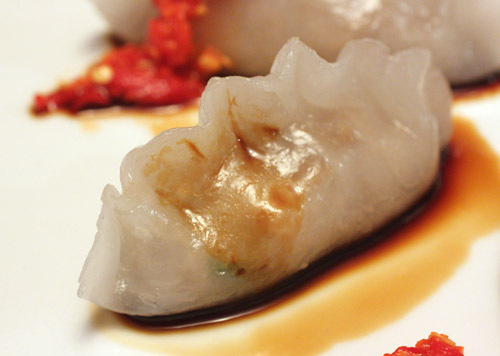 Your home made dumplings look nothing short of AMAZING. Beautiful! You did a really good job. 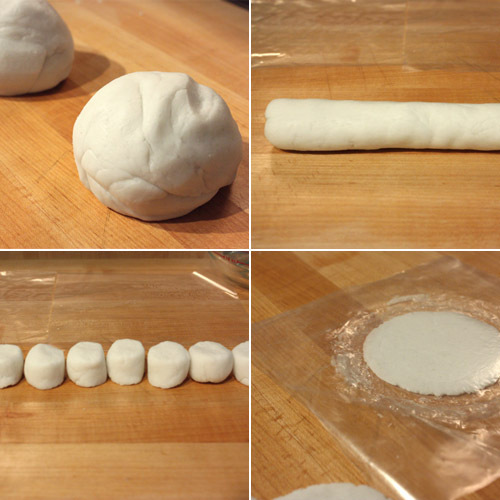 I love dumplings but have never made the wrappers from scratch. 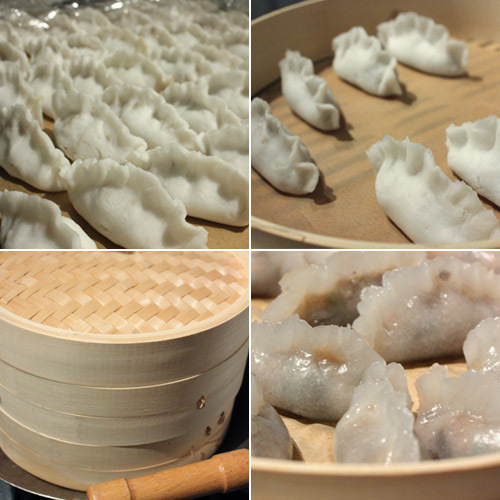 I'm a big dumpling fan too and I'm so impressed you made your own from start to finish - they look SO good! I am so very impressed by your talent, Lisa! The dumplings look fantastic despite it being your 1st time making it. You put me to shame since I have not tried making dumplings despite being an Asian. Haha. Thanks for recommending Andrea Nguyen's book, I look forward to checking it out. Your pleating skill is so perfect and the dumpling filling looks so delicious! I am so impressed. how beautifully you have done it! My daughter loves dumpling, but I never take the trouble to make it at home. The fillings sound fantastic. oh my god, is there anything better than homemade dumplings?? I really don't think so. I need to make these.